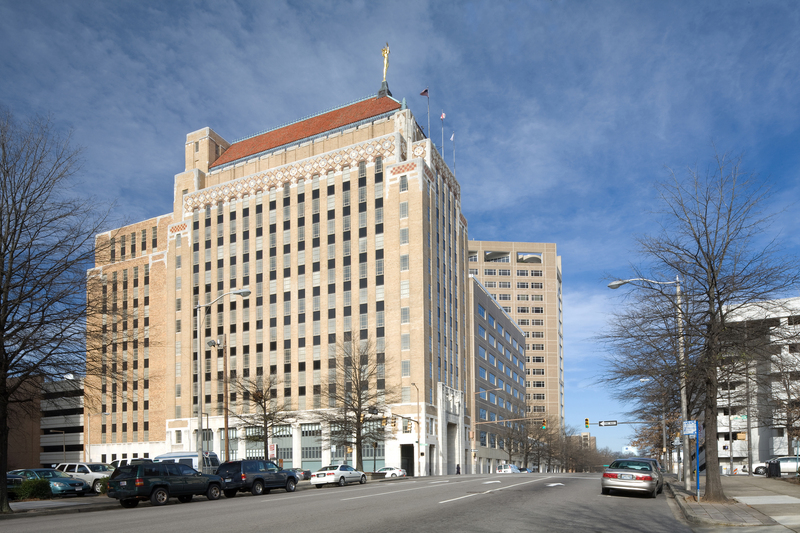 The Alabama Power Headquarters Building in Birmingham, Alabama is an 18-story corporate headquarters for Southern Company. Constructed on a steel frame with cast-in-place concrete floors on metal decking, the ground floor of this structure is a large atrium covered by a 17,000-square foot skylight. The skylight slopes five floors and houses the reception area, two large planter areas and employee dining.